The Big Equipment Showcase for June 2018 highlights the top manufacturers of pigging and inspection tools. A combined geometry and ultrasonic inline inspection (ILI) tool delivering precise measurement with improved efficiency. Combining a metal-loss or crack assessment with ultrasonic based geometry measurement enables a comprehensive inspection in a single run. Delivering multiple-aligned datasets allowing an online correlation of anomalies that enhance identification of combined defects. The ultrasonic sensor technology increases the number of sensors, creating an overlap delivering a circumferential resolution down to 8 mm and avoiding deformation shape distortion due sensor lift-off. Ultrasonic Geometry has proven precise, direct measurement of dents with depth resolution down to 0.1 mm. The increased number of sensors and overlapping, along with state-of-the-art data acquisition system delivers higher spatial resolution that can be exploited in the computation of assessment methodologies based on deformation precise shape or Finite Element modeling that requires specific and rigorous geometric data input. The absence of any mechanical calipers ensures that there is no risk of damage to the tool, no pre-calibration required and allows the flexibility to perform bi-directional inspections. Pigs Unlimited International is one of the largest engineered pig manufacturing facilities in the world. Our ability to house multiple shops allows us to fill custom and standard pigging product needs which in turn, enables us to provide some of the best delivery times in the pigging market. Our newest line of solid cast urethane products is supported by the largest set of pig molds that allow us to fill our client’s rapidly growing demand for pigs. The UFDP is one our solid cast utility pigs that are essential to our growth. They are primarily manufactured in two basic styles. The first is the standard beveled edge disc and the second is the square edge disc. The beveled edge of the UFDP is used for cleaning and batching, but was originally designed to project a full 360-degree coverage of chemical treatments and inhibitors as well as an internal epoxy coating for pipeline rehabilitation. By combining a cup and disc feature, both styles offer excellent cleaning and batching pig properties as well as the sealing ability of a cup pig and sweeping ability of a disc pig. Cup and disc pigs are the backbone of the pigging industry. By combining both components on a solid cast urethane frame, you gain the capabilities of a steel mandrel pig as well as the benefits of a flexible solid cast urethane pig. Corrosion can’t be covered up — literally or figuratively. According to the National Association of Corrosion Engineers (NACE), it costs the pipeline industry more than $1 billion annually. It’s a threat that’s impossible — and risky — to ignore. Removing pipeline debris with cleaning pigs is a first line of defense in corrosion control. But even the best-orchestrated pigging program can leave deposits in pipeline pits. When contaminants like paraffin, asphaltene or mineral scale remain behind, they can cover up active corrosion. Masking the problem not only allows it to worsen, it prevents corrosion inhibitors from reaching their target. One of the most aggressive cleaning pigs on the market, the PitBoss pig from T.D. Williamson, is designed to get to the bottom of pipeline pits, removing soft to hard deposits and scale with its powerful wire brushes. 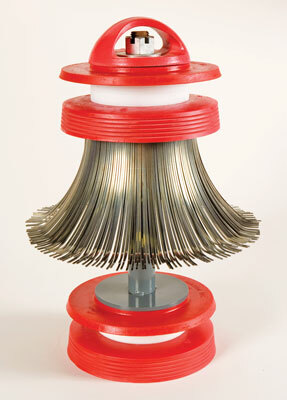 Each brush acts independently as both a spring and a scraper, forcing itself into pitted areas and scouring away corrosive debris from the internal diameter, regardless of wall thickness or ovality. That leaves the pipe wall more receptive to internal corrosion inhibitors, addressing the threat right where it starts. When coupled with RealSeal urethane cups with multi-lip sealing grooves — which perform like multiple scraper discs — the PitBoss is even more effective, providing extremely thorough results. 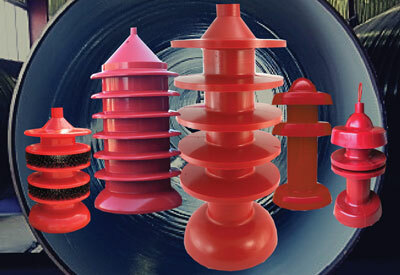 Available for pipeline diameters of 6 in. and larger, as well as in dual diameter configurations, PitBoss pigs help operators avoid masked corrosion throughout their pipeline systems. 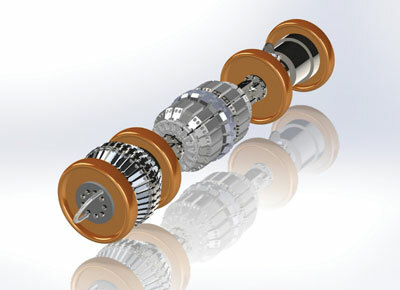 The HEBNA iMFL tools have the unique capability to inspect steel (or any ferrous host pipe) through an internal lining. Magnetic flux leakage (MFL) tools used for the inspection of steel pipes have been in use for decades and are a highly accurate method to detect metal loss due to corrosion or pipeline damage. 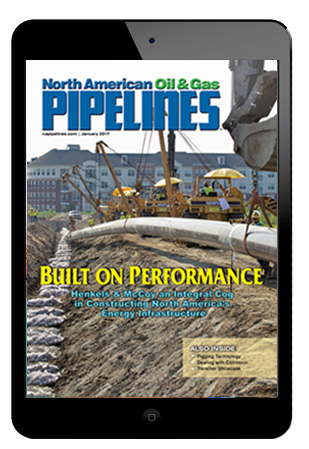 A limitation in the application of MFL tools has been their inability to inspect steel pipelines with an internal lining because the tool’s array of magnets must be touching or be in close proximity to the pipe wall to obtain an accurate reading. After years of research and development, HEBNA iMFL Services Inc. has introduced iMFL, a series of magnetic flux leakage tools which can inspect steel pipelines through any non-ferrous liner material (cement, polyethylene, cured-in-place pipe, etc.) in high definition delivering results equal to or exceeding the results of standard MFL inspection of unlined pipe.